French artist Ambrose Duval achieved success as a miniature portrait painter in New Orleans in the early nineteenth century. French artist Ambrose Duval (born ca. 1760-70) achieved success as a miniature painter in New Orleans from 1803 to 1835, completing portraits of distinguished individuals, including the first governor of the Louisiana territory, William C. C. Claiborne (1775–1817). In addition to being a reputable miniaturist, Duval was a naturalist who exhibited his personal collection of preserved birds in New Orleans in 1829. In the February 5, 1803, issue of the Louisiana Monitor, Duval was described as an artist “newly arrived from Europe” whose skills included commissioned miniature portraits completed at patrons’ homes, and instruction on figures, landscape, or flowers. Duval painted in the French style of portraiture, as did Louis Antoine Collas (1775–-1856), who was active in New Orleans from 1822 to 1829. While in New Orleans, Duval is listed as working from locations on Bourbon Street. 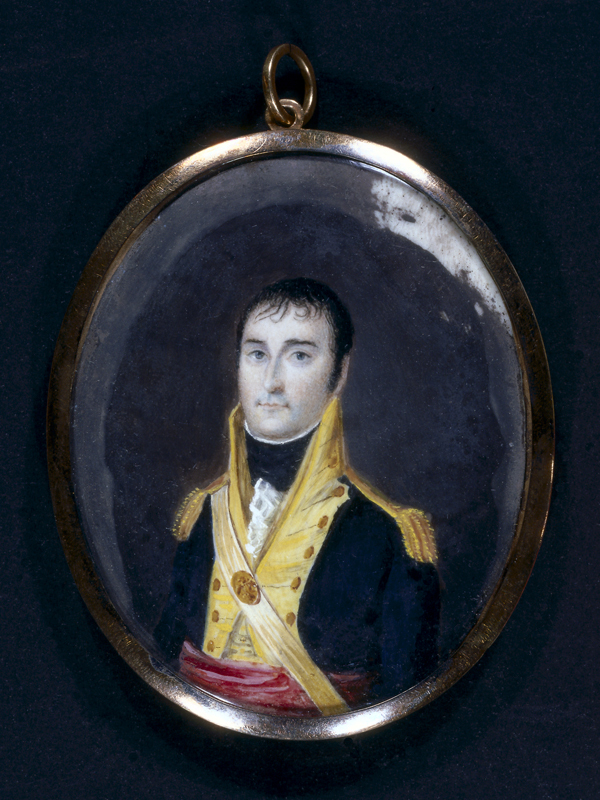 Duval’s miniature portrait of William C. C. Claiborne is now within the permanent collection of The Historic New Orleans Collection. Little is known about how the commission was secured. The oil painting on ivory was completed circa 1805, and was copied as an engraving by the artist James Barton Longacre (1794–1869) between 1834 and 1839. 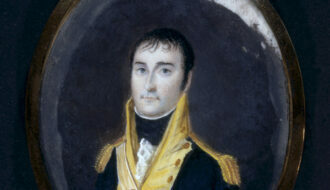 Duval’s other commissioned miniatures on ivory painted during his time in Louisiana include the portrait of Theresa Diana Levesque, completed in 1810 (d. 1860, Smithsonian American Art Museum); the portrait of Spanish doctor Don Juan Vives (1754–1822; private collection); and the portrait of Christoval Sebastian Toledano (ca. 1810, the Historic New Orleans Collection). Toledano, a sugar and cotton broker in Louisiana, was the original owner of the Tullis-Toledano Manor in Biloxi, Mississippi, destroyed by Hurricane Katrina in 2005. In an advertisement printed in The Courier on August 3, 1829, Duval expressed his interest in naturalism and invited visitors to his studio at No. 130 Bourbon Street, to view his collection of birds that were “well preserved as to appear perfectly natural.” In 1821, Duval met naturalist and artist John James Audubon (1785–1851) and presented the artist a stuffed plover, which Audubon painted and incorporated in his Birds of America series (between 1827 and 1838). Little is known of Duval’s personal life, including where he settled after his time in New Orleans. Carter, Kate "Ambrose Duval." In https://64parishes.org Encyclopedia of Louisiana, edited by David Johnson. Louisiana Endowment for the Humanities, 2010–. 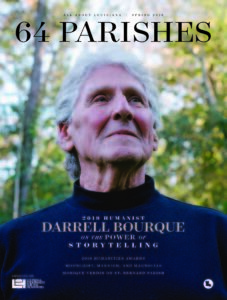 Article published September 12, 2012. https://64parishes.org/entry/ambrose-duval. Bruns, Mrs. Thomas Nelson Carter. Louisiana Portraits. New Orleans, LA: The National Society of Colonial Dames of America and the State of Louisiana, 1975. Friends of the Cabildo, eds. 250 Years of Life in New Orleans: The Rosemonde E. and Emile Kuntz Collection and the Felix H. Kuntz Collection. New Orleans: Louisiana State Museum, 1965. Miles, Ellen Gross. Portrait Painting in America: The Nineteenth Century. New York, NY: Main Street/Universe Books, 1977. Patricia Brady, ed., Encyclopedia of New Orleans Artists, 1718-1918. New Orleans, LA: the Historic New Orleans Collection, 1987.